Tent Liner Drapes create a unique and elegant look. 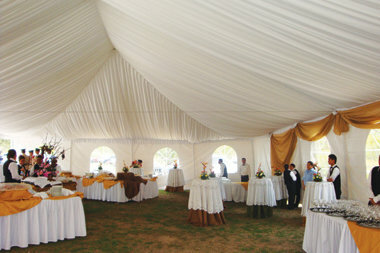 This custom feature is offered in addition to a standard tent rental. Please call our office to discuss pricing and availability.